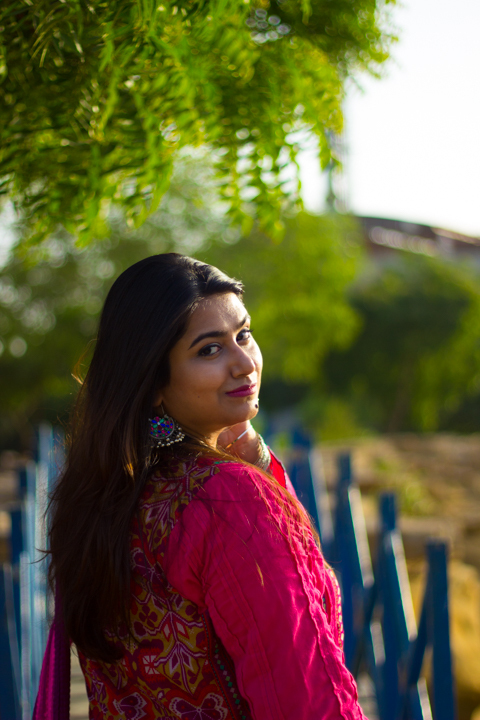 This post is inspired by the hashtag #MyPreciousTravelFind started by Hemal Paliwal who is a photographer, curator, stylist and a home decor enthusiast. She blogs at her website Villa Marigold and I love reading her design and decor posts! “Yaadein mithai ke dibbay ki tarhan hoti hen. Aik baar khula tou sirf aik tukra nahi khaa paoge”. The first one is from my trip to Nepal. We visited Kathmandu and Pokhara and things that I will always treasure from my Nepal trip are all in this photo! My now worn out Nepali flats: I found these in a tiny shop at Pokhara Lakeside and they had such an amazing variety of ethnic footwear! I wanted to buy all, but of course resorted on this pair of slippers which also happens to be my favorite shade of blue! Random Brochures/Boarding Passes/Receipts: I’m big on collecting trash while I travel. This means, I will pick up post cards from our hotel, brochures that people hand out to tourists, boarding passes and receipts – I have a box full of these at home. These insignificant objects act as a totem for my travels as they have stories associated with them. For example, if I hold that suitcase tag from The Pavilions in my hand, I would instantly remember that very moment when the guy attached it to our suitcase and consequently I would remember how I felt that day. The memories I made in Nepal will forever be etched in my mind. If you’d like to read the entire account of my trip to Nepal you can do so here. If you want quick tips on how to plan a trip to Nepal and what activities to do there, you can read it here and here. No travel post is ever complete without mentioning these two trips. I went for my honeymoon in Maldives and a few months back I visited Seychelles. Visiting both countries was an exhilarating experience and I realized how much I love the ocean! This picture displays all the little corals and sea shells that I collected while walking the shores of Maldives and Seychelles. These have been most dear to me so far. Dear because they remind me of the memories I made. The corals pieces remind me of how I struggled with snorkelling in Maldives, but eventually when I got a hang of it, I was fearless in the ocean! The sea shells remind me of how powdery white sand feels under your toes, and when you brush it off after endless magical strolls along the beaches of Seychelles, it leaves the skin on your feet so soft and supple. These tiny little pieces are not so tiny in my eyes. They are memoirs of joyful days and high spirits – they are the crux of my entire life! I hope you enjoyed my travel finds. Let me know what unique pieces have you collected during your travels! Also don’t forget to share your images on Instagram tagging Hemal and her hashtag #MyPreciousTravelFind.